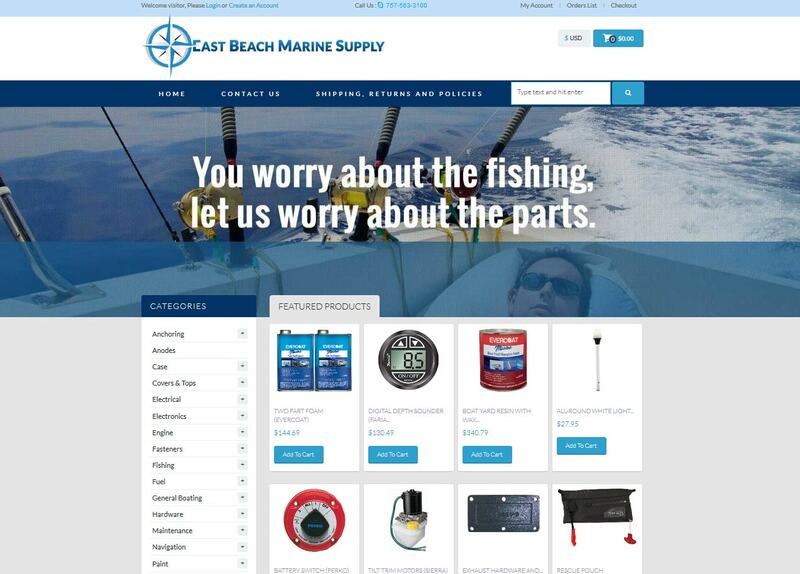 Ecommerce Web site design Norfolk VA | VISIONEFX provides web design in Norfolk, VA. East Beach Marine has thousands of Marine-related products featured in their online store. VISIONEFX developed a dynamic E-Commerce shopping experience to support store sales. VISIONEFX used the e-commerce online shopping cart Virtue mart and the website development was done in Joomla CMS. East Beach Marine Supply has a brick and mortar retail store located in Norfolk, VA. When searching Ecommerce Web site design Norfolk VA look no further than the web design experts at VISIONEFX.